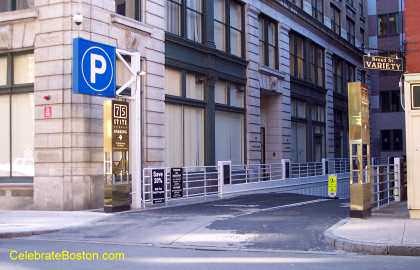 75 State Street Garage is located very close to Faneuil Hall Marketplace and the Financial District. There are many nearby attractions including, Old State House, Curley Park, Holocaust Memorial, and New England Aquarium. The waterfront is just east of the garage, across Atlantic Avenue. To quickly access 75 State Street Garage, one has to take a left onto Broad Street from State Street, and the garage entrance is on the right.